It’s Veteran’s Day today. Like every year, a time for us to personally reflect and thank those we know and those we’ve never met for their service to the USA. 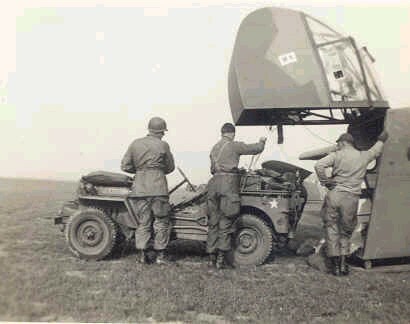 Like last Veteran’s Day, jeepwaves.com is bringing you some interesting historical notes from WWII – Jeep related of course. 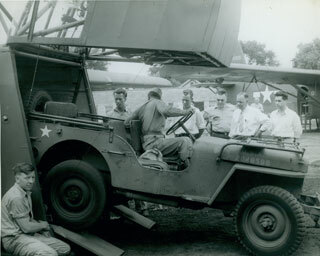 As if that wasn’t enough, after landing, Thompson proceeded to drive his Jeep over to the two pilots who were injured in the landing. He then treated their wounds, and drove them to an aid station. A story of heroism from all involved and an impressive number for our beloved Jeep to boot! A little reminder next time your Jeep gets “airborne” on the trail…it could be worse. The rest of the book is definitely worth a read, but we thought this little excerpt would be a fun read and a good reminder just how intertwined the Jeep is with the history of those who defend our country. So, as we pay respect to our Veterans today, give a Jeep a wave if you see one!